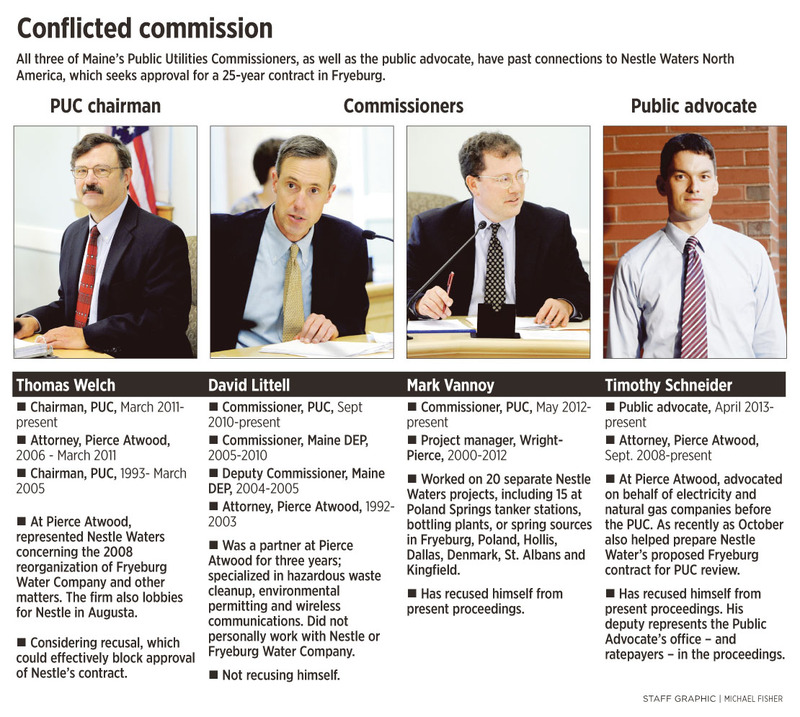 All three PUC commissioners and Maine's public advocate have ties to Poland Spring's parent company, which is seeking a 25-year contract. FRYEBURG – When the Maine Public Utilities Commission this week takes up a controversial 25-year contract between the company that owns the Poland Spring brand and the family-controlled utility that supplies its water, it will do so under troubling and unprecedented circumstances: All three PUC commissioners, as well as the state’s public advocate, have ties to the company. The PUC will hear final arguments Tuesday on the contract between Nestle Waters North America and the privately held Fryeburg Water Co. But the proceedings are jeopardized by the commissioners’ apparent conflicts of interest. 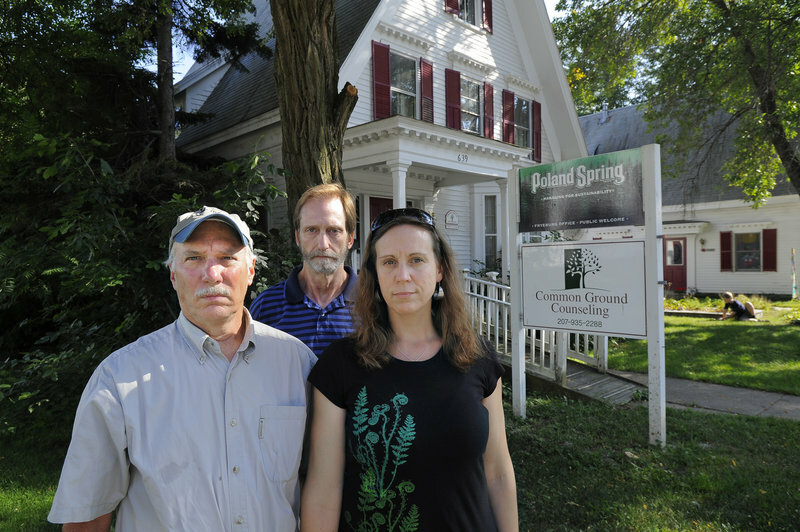 Fryeburg residents Bruce Taylor, left, an intervenor in the case, stands with contract opponents Cliff Hall and Nickie Sekera in front of the Poland Spring offices on Main Street in Fryeburg. Poland Spring water trucks fill up at the water pumping station at Fire Lane No. 4 along Route 113 in Fryeburg. Wards Pond off Route 113 in Fryeburg is part of an aquifer where Poland Spring water trucks fill up and travel through Fryeburg. 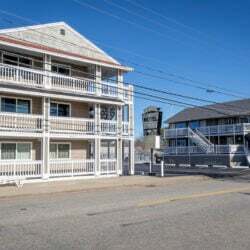 â¢ Commissioner Mark Vannoy, who has recused himself from the proceedings, worked on 20 Nestle Waters projects — including 15 at Poland Spring facilities in Maine — while employed as an executive and project manager by the engineering firm Wright-Pierce. 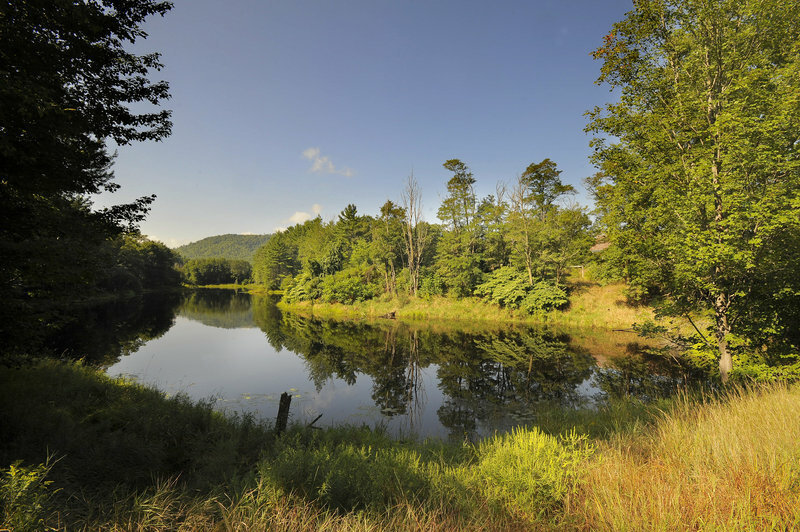 â¢ Before joining the PUC in 2011, Chairman Thomas Welch was an attorney at Pierce Atwood, where he represented Nestle Waters for several years, including during the 2008 reorganization of the Fryeburg Water Co. that set the stage for the current contract. â¢ Commissioner David Littell was a partner at Pierce Atwood — which currently lobbies for Nestle Waters in Augusta — until 2003, although he didn’t personally work with Nestle. Neither Welch nor Littell has recused himself. â¢ Even the official responsible for representing ratepayers before the PUC, Public Advocate Timothy Schneider, has conflicts. Until his appointment in March, Schneider was a utilities attorney at Pierce Atwood who helped prepare the Nestle and Fryeburg Water Co. case now before the PUC. He has recused himself, and his deputy, William Black, is representing the Public Advocate’s Office in the proceedings. 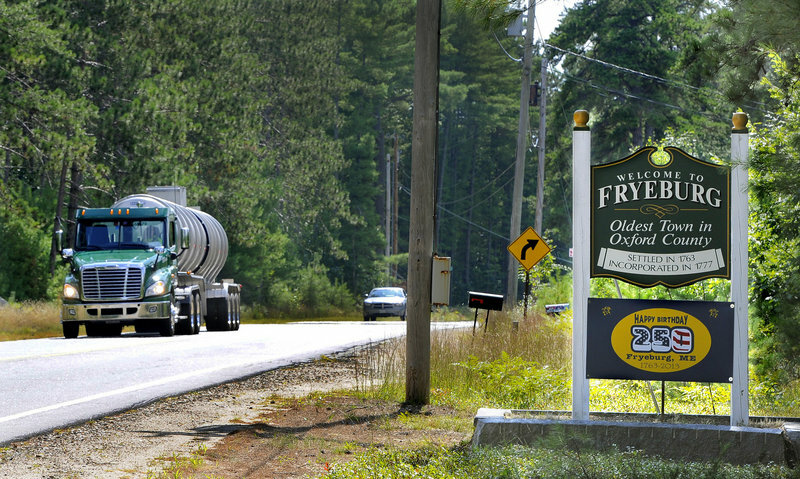 The Fryeburg Water Co. is seeking PUC approval of a proposed 25-year contract with Nestle Waters, a subsidiary of Switzerland’s Nestle SA, the world’s largest food and beverage company. Under the agreement, the water company would get a stable, predictable flow of cash for water Nestle pumps from its spring on Wards Brook, while Nestle would cement control of this key supply of spring water, possibly paving the way for investment in a multimillion-dollar bottling plant in Fryeburg. 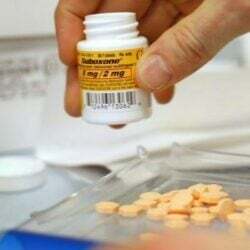 The contract can be extended for up to 40 years. Proponents say the contract would stabilize a long-term business partnership that has served the town and its water customers well. Critics fear the leaders of the Fryeburg Water Co. are selling the community short, giving up a valuable resource for much less than it is worth now, better yet a quarter century or more hence, when population growth and climate change will tax water supplies worldwide. Opponents of the contract have filed motions for a second time with the PUC asking Welch to recuse himself. He said he is reluctant to do so, because it will make it impossible for the PUC to rule on the case, as there would no longer be a quorum. By law, a solitary commissioner cannot make a ruling. It is rare when even one PUC commissioner has a conflict in a case but extremely so for multiple commissioners to have a conflict at the same time. Experts say the situation highlights the danger in appointing officials with overlapping backgrounds, creating the potential for overlapping conflicts that could undermine the PUC’s credibility or render it unable to rule on some cases. The commissioners and public advocate are all appointed by the governor and confirmed by the state Senate. Littell was appointed by Gov. John Baldacci, a Democrat who is now a senior adviser in economics and government relations at Pierce Atwood. Welch, Vannoy and Schneider were appointed by Republican Gov. 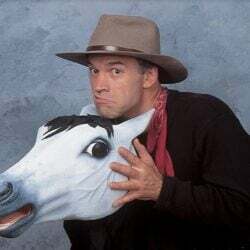 Paul LePage. 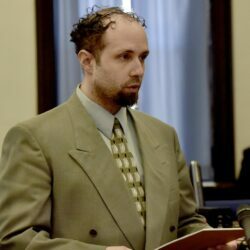 The governor’s office said the Fryeburg case is an unusual event and that the potential for overlapping conflicts will disappear over time. She said Vannoy had recused himself “based on financial interests” rather than ethical conflicts and that those “will be resolved in the near future rendering him able to serve should these types of matters come before the Commission again.” Disclosures show he was a minority shareholder in Wright-Pierce when he was appointed in May 2012. Bennett noted the tension between finding people with the technical knowledge and experience to serve on the commission and the potential for conflicts garnered while accumulating that experience. 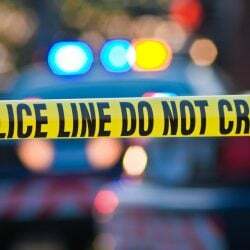 Others questioned the background of the public advocate. Weil, the first to hold the position, said it was unprecedented for the advocate to have a background representing utilities, rather than consumers. That is nearly so. There have been just five public advocates since the position was created in 1982. Paul Fritzsche, who served in the mid-1980s, had worked with Pine Tree Legal Assistance. Stephen Ward, who held the position for 20 of those years, had been a staff attorney in the Public Advocate’s Office. Richard Davies, who succeeded him in 2007 and stepped down in February, had been a legislator and an aide to Govs. Joseph Brennan and Baldacci, but also founded a lobbying firm that represented both consumer groups and utilities. The other two public advocates — Bradford and Weil — had consumer-side backgrounds, Bradford having been described by The Washington Post as the “liberal mainstay” and primary nuclear power opponent on the NRC in 1981, when he left to become Maine’s second public advocate. Bradford, who also spent many years as PUC chairman, said Maine legislators should consider legal changes to allow for the appointment of alternate commissioners when a sitting one recuses himself. “This way of dealing with it puts less of a constraint on who gets appointed, and lets you not spend so much time trying to scratch your head and try to see the future in terms of potential conflicts,” he said. Many in this town of 3,500 people are especially sensitive to perceived conflicts of interest because they have cropped up so often among the entities involved in the case now before the PUC. Fryeburg Water Co., which serves Fryeburg and East Conway, N.H., is unusual in that it is a privately held water utility. (About 15 percent of the nation’s water utilities are privately held.) It was founded in 1883, but by the 1990s the majority of the shares were held by members of the Hastings family, whose patriarch, Hugh Hastings, has served as company president since 1969 and as an officer since 1950. Recognizing that Fryeburg had excellent water — the result of quartz-rich geology and clean, copious runoff from the Presidential Range in the White Mountains — Hastings hoped some could be profitably sold to bottlers. But in the interest of fairness, the PUC prohibits utilities from selling water to any entity at a higher price than it charges its ordinary customers, so Hastings and a business partner, Eric Carlson of the engineering firm Woodard & Curran, came up with a workaround. In 1997, Hastings and Carlson created a company, Pure Mountain Springs, that bought water from the utility at its ordinary rate and sold it to Nestle Waters at a much higher — but undisclosed — rate. Pure Mountain Springs was headed by Hugh’s son, John, who shared ownership with Carlson. PUC filings show Hugh Hastings maintained power of attorney over his son for the first five years of the company’s operation. This arrangement ended in 2008, when Nestle stepped in and bought Pure Mountain Springs, allowing it to purchase bulk water at the going rate, currently about one-tenth of a cent per gallon. Welch, then at Pierce Atwood, advised the company on the deal. Simultaneously, Fryeburg Water Co. gave Nestle its contractually required five-year notice that it wanted to renegotiate their relationship, setting the stage for the current case before the PUC. Under the proposed contract, Nestle will continue to draw water at a low “tariff” rate and pay lease fees to the water company, but will make a guaranteed minimum payment of about $144,000 every year, ensuring a more predictable cash flow. Nestle Waters’ payments account for about 40 percent of the company’s operating revenues. 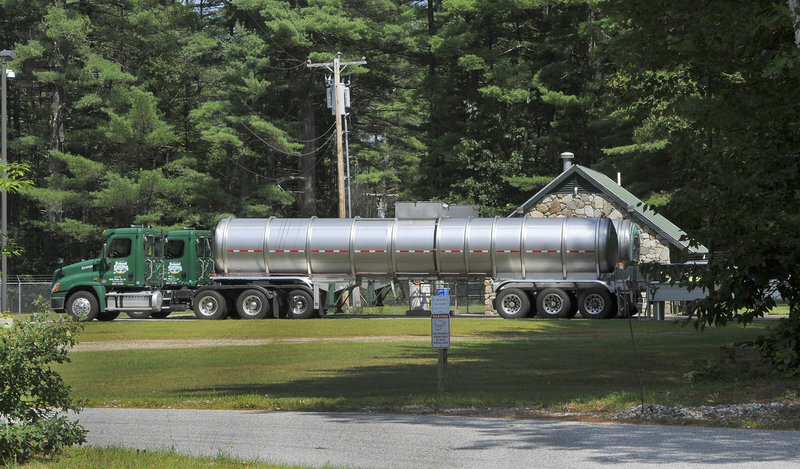 Nestle Waters likes the agreement because it gives the company long-term access to the springs in Fryeburg’s Wards Brook aquifer, where its trucks fill up at a pumping shed. Currently the tanker trucks carry the water to Poland Spring bottling plants in Poland, Hollis, and Kingfield, but Nestle officials say a 25-year agreement could help the company build a plant in Fryeburg. 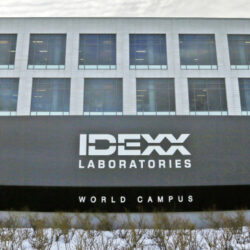 The company employs about 800 people in Maine, although none work full-time at the Fryeburg sites. That’s fine with many in Fryeburg who regard Nestle Waters as a fair partner, a clean industry whose presence has kept water rates low and has given to numerous causes in town, from heating assistance for the poor to a new gymnasium for the local high school, Fryeburg Academy. Indeed, independent monitoring results suggest Nestle’s average annualized pumping of 200,000 to 300,000 gallons a day is not adversely affecting the water table, which has risen in recent years because of unusually high rainfall. (Nestle is allowed up to 600,000 gallons a day.) 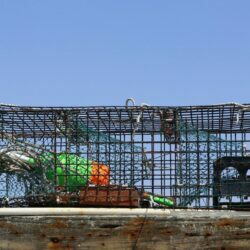 Krasker, who several years ago helped raise money for the town to contract for ongoing monitoring, an independent hydrological survey and and environmental impact assessment, said there has been “zero” impact. Nestle and Fryeburg Water dismiss concerns that their relationship could ever cause local customers or wells to run out of water. In 2008, Nestle made a written pledge to the town selectmen that existing residential customers “have priority over Poland Spring,” a principle enshrined in the proposed contract. “There are short- and long-term suspension clauses, and we’re first in line to be shut off before other users in the town,” Dubois said. But the argument that appears to be getting the greatest traction in the PUC deliberations is that the Fryeburg Water Co. might be selling water to Nestle too cheaply. Until 2008, Nestle was willing to pay Pure Mountain Springs a price many times higher than the tariff rate, the argument goes, so it should continue to do so in the future. Fryeburg Water has not considered this option, Andrews said. “I know things have been suggested by other parties, but our rates are structured based on cost of service, so that is not something we have explored,” she said. Dubois said it was an “interesting concept” but noted that his company had to invest to buy Pure Mountain Springs, and in facilities and aquifer protection land in Fryeburg. “It’s a little short-sighted in that the rate itself doesn’t account for business principles in the return on investment and the like,” he said. If Tuesday’s proceedings do wind up focusing on the Pure Mountain Springs era, Chairman Welch will likely be under additional pressure to recuse himself, as he worked closely with Nestle on related issues. He said he would make a decision whether to remove himself after the hearing. If he does leave, he said the PUC would be unable to approve the proposed contract for lack of a quorum. In October, the chairman decided not to disqualify himself, in part because if he did the PUC would no longer have a quorum to act. “Consequently,” he wrote at the time, “my participation is … compelled by the so-called ‘rule of necessity.’ ” He also wrote that he would not be biased by the personal relationships he had at Pierce Atwood. Sean Mahoney, executive vice president of the Conservation Law Foundation, which testified in support of Welch and Schneider at their respective confirmation hearings, said the Nestle case is indeed a conundrum for Welch. This story was updated at 1:10 p.m. Sept. 3 to correct the order and number of past Maine public advocates. There have been five, in this order:Â Gordon Weil, Peter Bradford, Paul Fritzsche (previously with Pine Tree Legal Assistance), Stephen Ward and Richard Davies.